Updated version of the powerpoint slides Holger used for the class "Mastering The New Stems Format" on October 29, 2015. This is about how to produce and master the new multi track format "Stems" (stem.mp4). 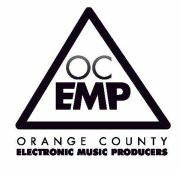 These are the slides which Tim Stark made for the OC EMP presentation about Remixing on May 27, 2015. These are the slides which Patrick made for his OC EMP presentation about SOUND DESIGN on May 12, 2015. This file is highly compressed and one empty slide has been removed. These changes did not affect content nor readability.